Acrylic on stretched canvas, 60x40 cm approx (24x16 inches). Standard depth (approx 20mm). 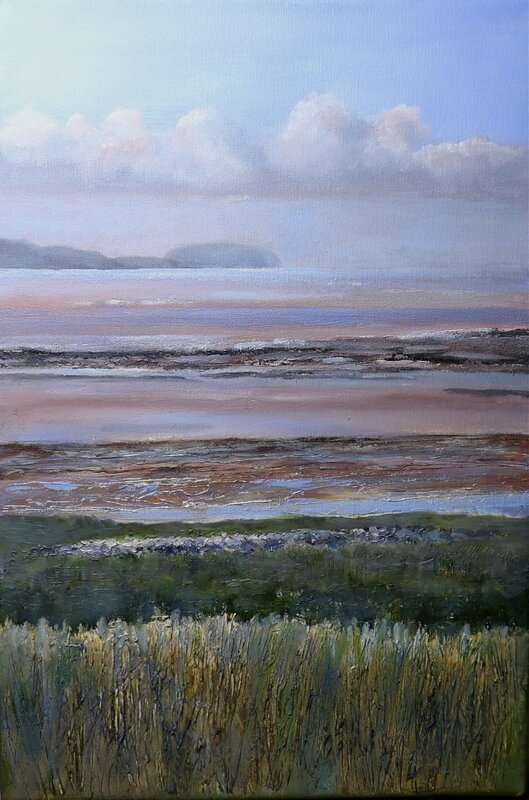 Various modelling-gel textures create layers of grasses, mud-flats and distant water, reaching out to a promontory of land and an island. The colour scheme is fairly matt and subdued but with touches of shiny iridescent paint in places where light catches the wet mud and seawater. The canvas edges have been painted with the same colours, so can be hung without a frame.